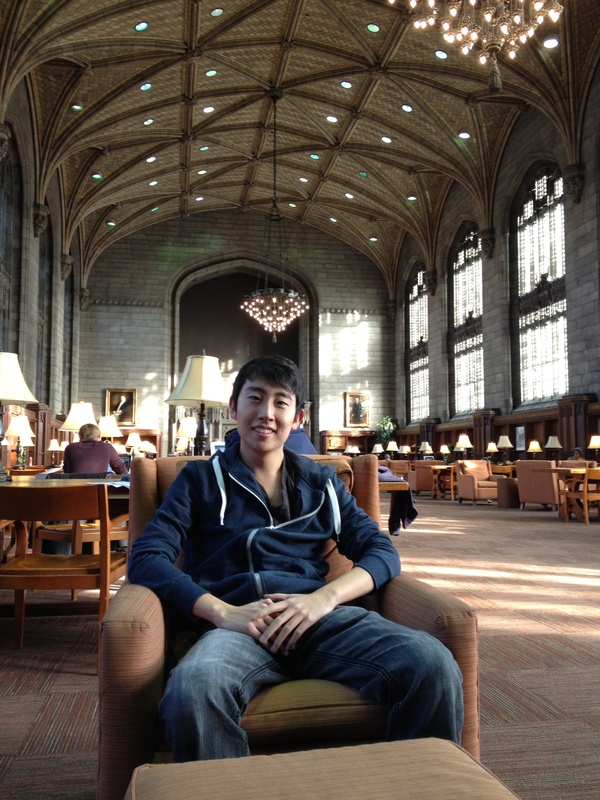 Why the University of Chicago? It is a question that I have heard so much this past few months that it has become akin to a greeting. And although it is something that I have been asked countless times, there is not a single definite answer than I can pinpoint. Was it because of the university’s academic prestige? Maybe it was its proximity to the city of Chicago or the unique essay questions I was asked when applying to the school that motivated me to commit to the U of C. Whatever the underlying reason was, something about the University of Chicago felt right. And now, after successfully completing my first quarter there, I can confidently say that I made the right choice. 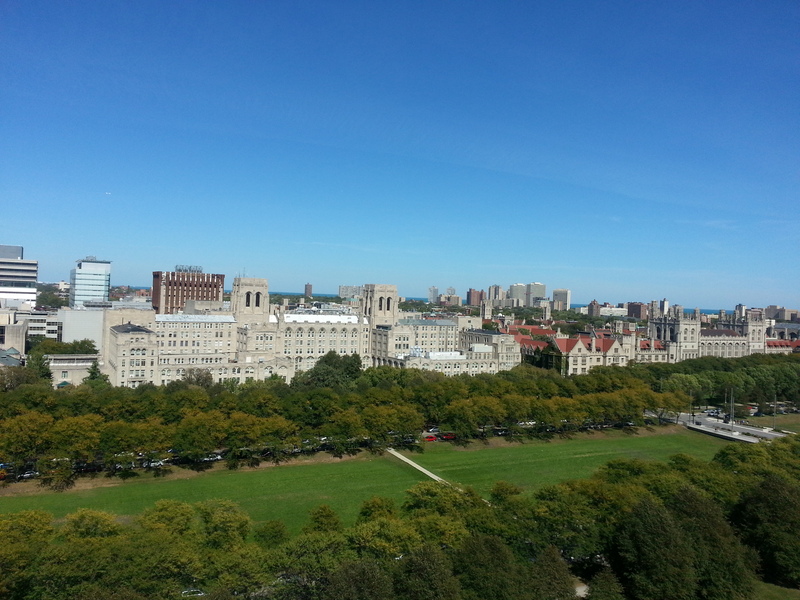 The University of Chicago is one of the most unrecognized premier academic institutions in the world today. With very little lay prestige, it is often confused with the state school the University of Illinois at Chicago. Nevertheless, upon entering its campus located in the Hyde Park neighborhood of Chicago, one can immediately get a sense of its prestige and history. When I first visited the school, I was impressed by its beautiful Gothic architecture (and I’m not the artistic type at all). The ivy-covered buildings of the main quad contrast sharply, however, with the modern buildings of the University’s South Campus where I moved in this fall. 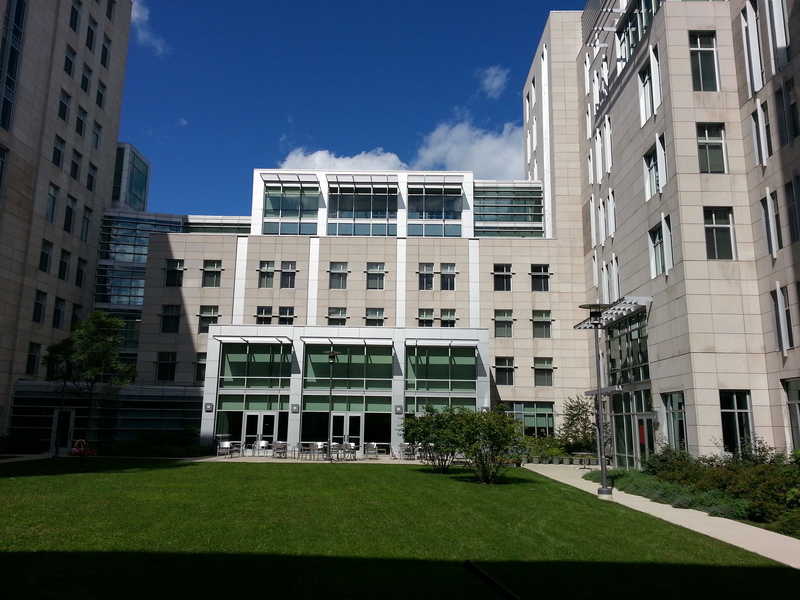 Opened in 2009, the South Campus Residence Hall is nothing short of a modern hotel, with extremely clean rooms, lounges, music rooms, and even an attached Subway and convenience store. The dorms at UChicago are arranged in a house system, with each residence hall comprising of multiple houses each with its own house culture and identity. I was a part of South Campus’s “Wendt House” (named after Greg Wendt who happens to live in San Francisco) and our house motto was “Wendt Haus Penthouse”. The house system offers an easy way to make friends and socialize as there will always be people hanging out in your house lounge as well as house events throughout the quarter. One of the most popular house activities is midnight soccer which is a competitive soccer league between all the different houses across campus. 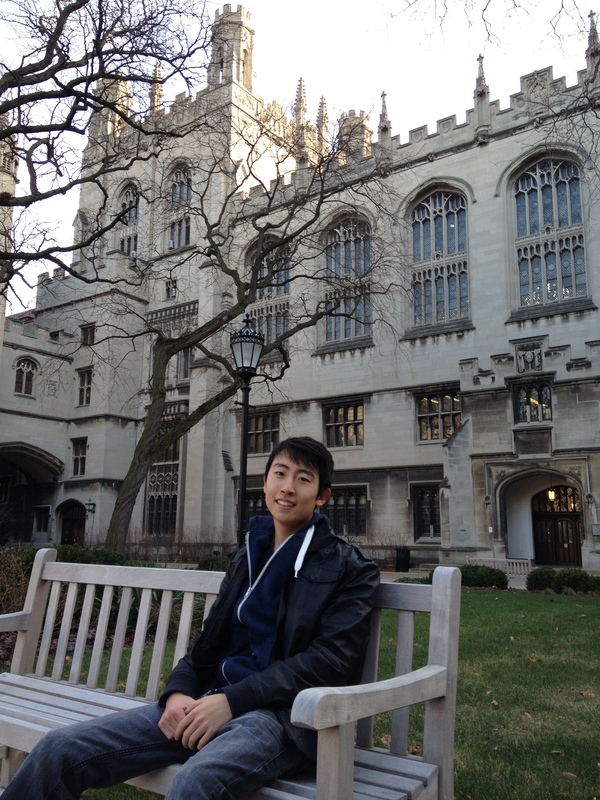 As far as academics go, one of most unique aspects at UChicago is the required Core curriculum. The Core comprises of classes in the Humanities, Civilization Studies, Arts, Natural and Mathematical Sciences, and Foreign Language. Because I was able to test out of Biology, Chemistry, and Spanish through Dublin High School AP credits, I decided to take only three classes this quarter. Two of those classes, Media Aesthetics and Calculus 153, were courses that were part of the Core. Media Aesthetics is a humanities sequence studying forms of media with background from philosophical work from minds like Plato, Freud, Baudrillard, Lacan, and many more. The course is discussion-based in a class of no more than seventeen students. This type of environment allowed for a very intimate classroom experience with the professor and the opportunity to participate in some very intellectually stimulating debates. My calculus course was slightly larger and in a lecture format but still small enough to have a solid relationship with the professor. Out of all my classes, though, my favorite by far was Introduction to Microeconomics. Taught by Allen Sanderson, a leading economic mind, I thoroughly enjoyed all the lectures in the course. Sanderson taught in a way that was very entertaining and thought-provoking and solidified my interest in the field of economics. And although it is true that the academics at Chicago are very rigorous and grades not easy to come by (it is often referred to as “where fun comes to die”), there is a certain charm to the academically Spartan lifestyle of the university. It’s the challenge of braving the extreme Chicagoan winters and pulling all-nighters at the Joseph Regenstein Library that makes life at Chicago that much more rewarding and fulfilling. You can get a feel for University of Chicago life through this student-created video (http://www.youtube.com/watch?v=zcNT2pMyFn4) – parental advisory required! Not everything about UChicago is strictly academics; there is still plenty to do outside of the library or lecture hall. The school offers countless of extracurricular activities and clubs. I was a part of Entrepreneurship @ UChicago through which I could talk with other students as well as graduate students at the Booth School of Business about business ideas and opportunities. Also, Chicago downtown is roughly only fifteen minutes away by bus so it is easy to enjoy the city life and all it has to offer. And, like any other college, one of the best qualities about the UChicago experience is the people you meet. I made friends from not only across the United States, but from every corner of the world. Being in such a diverse and exciting environment has been by far my favorite aspect of my time at Chicago. The gold seal on the floor of the Reynolds Club. 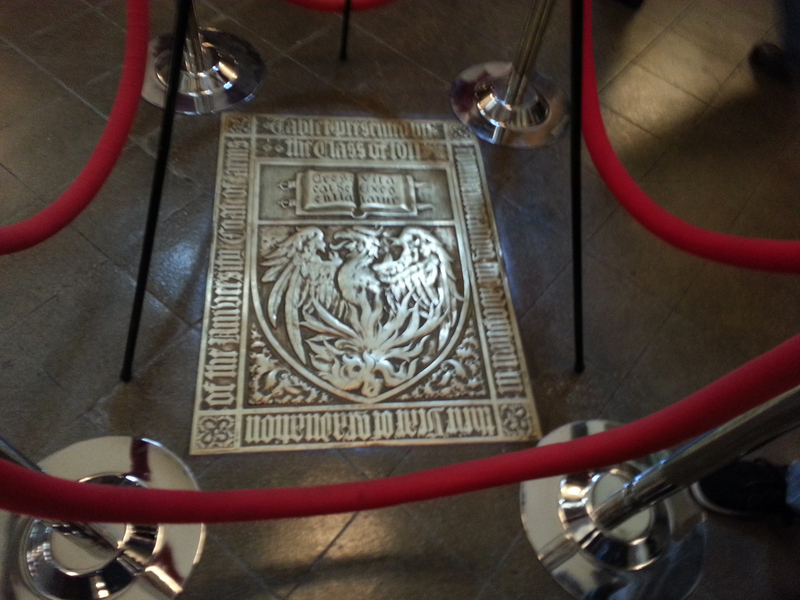 Tradition is that if you step on the seal, you will not be able to graduate in four years. 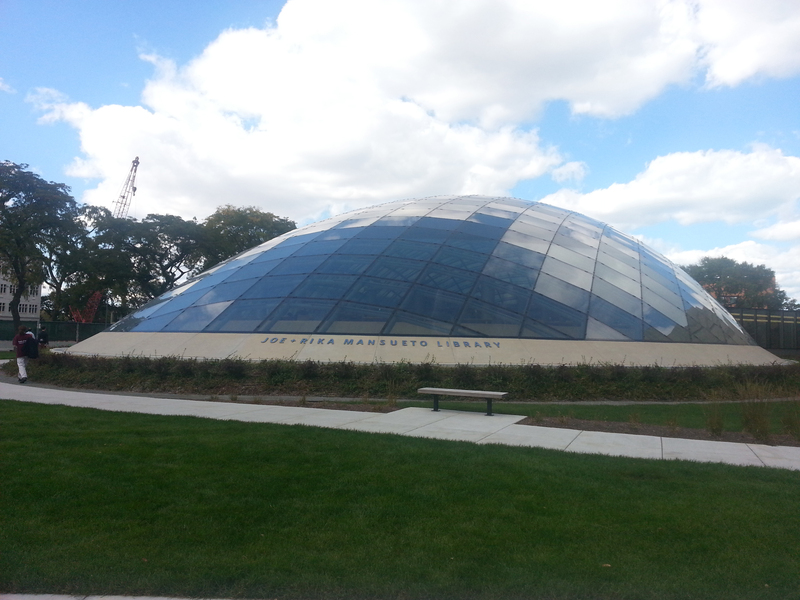 The Mansueto library known for its automated book shelving system that reaches up to fifty feet underground. View of mid campus. The big complex is the medical center. In the main quad of campus. This is where most of my classes were. 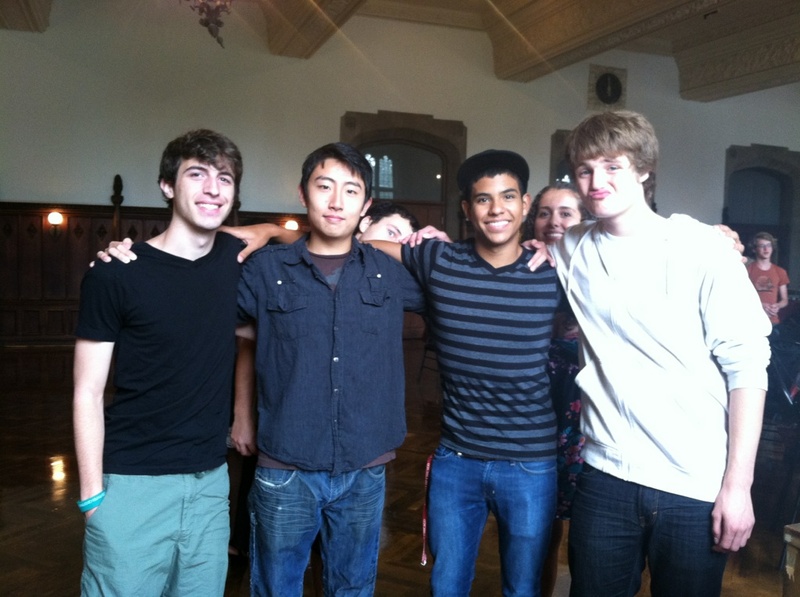 With some close friends I made at my time at UChicago. At the Dublin High School 2012 Senior Awards Night Andrew was recognized several times including earning a National Merit Scholarship for performance on the PSAT, was awarded the United States Marine Corp Scholastic Excellence Award, was named a California Scholarship Federation Life Member, was awarded the President’s Gold Award for Educational Excellence and earned Dublin High School’s Advanced Scholar Diploma. Andrew was named the Dublin High School Class of 2012 valedictorian based on academic performance and spoke at the Dublin High School Commencement in June 2012. Great article! This young man will certainly be a success in whatever path he chooses. Awesome article Andrew! I’m so proud of you; keep working hard in Chicago!